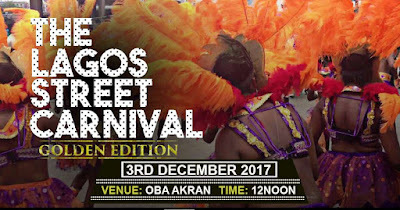 All is now set for the second edition of the Lagos Street Carnival scheduled to hold on Sunday 3rd December, 2017, along the entire stretch of the Oba Akran Avenue, Ikeja from 12noon. 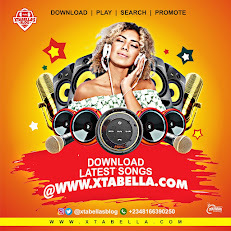 The 12 hours Carnival, consisting of Parade of Colours and Music is packaged by the Lagos State Government in collaboration with HEAT Entertainment outfit, as a private sector initiative is expected to set the tone for the Christmas and New Year Celebrations. 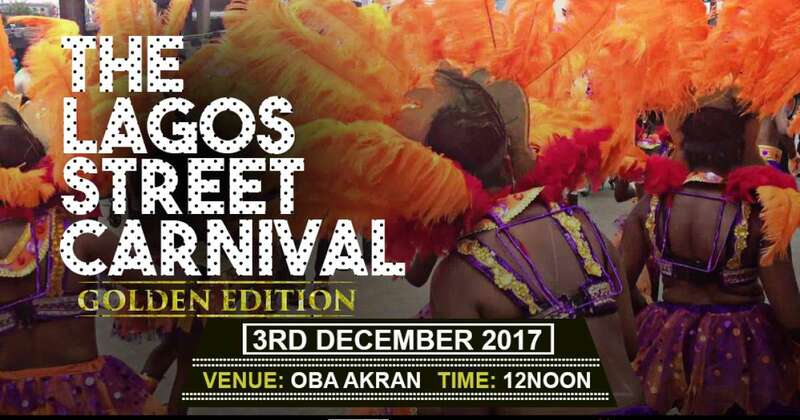 Permanent Secretary in the Ministry of Tourism, Arts and Culture, Mr. Fola Adeyemi in a statement said the 2017 Lagos Street Party, which has now been re-branded and transformed into Street Carnival, is a private sector initiative with the support of the Lagos State Government packaged to provide fun and Entertainment for the entire family as well as set the stage for the One Lagos Fiesta which is to come up in all the five divisions of the State at a later date in December. He said the Carnival will witness a parade of colours by representatives of all the 57 Local Government Councils and Council Development Areas and Organized Private Sector participation from Lagos Island and other parts of the State. 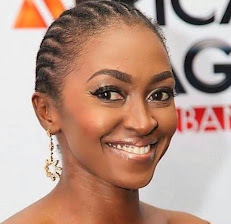 The Carnival according to him, will provide fun and entertainment to the family, and would have Kiddies section with variety of over 18 games to take care of their needs, while the adult section will be thrilled with carnival procession and musical performance by “A” list Artistes like Olamide, Terry G, Saheed Osupa, Lil Kesh, 9ice, Humble smith, Salawa Abeni, MC Arole, Malaika, Olu Maintain, YCee, Reminisce, Big Shef, etc.